A rendering of Orbital ATK's first Mission Extension Vehicle, MEV-1, a spacecraft capable of docking to and transferring satellites in-orbit. The company plans to launch MEV-1 in 2018 for its first customer, Intelsat. 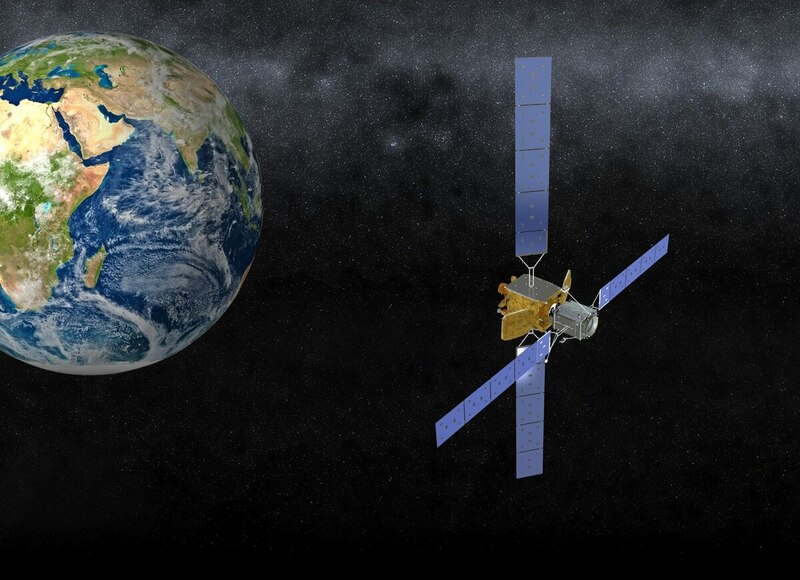 Orbital ATK unveiled two new vehicles in early March that would help extend the life of satellites at the 2018 Satellite conference held in Washington D.C. The aerospace manufacturing company touted their rendezvous vehicles as the latest step in the ongoing revolution within the field of on-orbit servicing technology. As industry leaders at the conference boasted technological advancements, policy experts gathered on the other side of the convention center to discuss their role in this new rapidly developing market. Commercial satellite operators are particularly interested in this field of technology because it may allow them to keep one satellite on orbit longer than expected. It would also allow operators to shuffle their fleet and provide more flexible services, which could benefit the Department of Defense. Dawkins said five American companies have received licenses for on-orbit servicing. Under current law, operators need approval from multiple government agencies for different aspects of servicing missions in space. The FCC regulates spectrum, the FAA oversees launch, and Dawkins’ NOAA office licenses remote image sensors. The National Space Council has proposed streamlining the entire space licensing process under a single authority within the Department of Commerce, but no such action taken has been taken as of early March. “If we restrict this industry to a place where they’re not commercially viable, then this gets driven overseas,” Dawkins warned. Lisa Kuo, director of commercial space programs for the Aerospace Corporation, cautioned against a hands-off approach to regulating the industry during its development period. Orbital ATK’s in-orbit servicing vehicle designs will predate any such industry standardization. The company is preparing to launch its first Mission Extension Vehicle (MEV) this year and announced at the conference the development of its Mission Extension Pods and Mission Robotic Vehicle, each designed to provide life extension to geostationary satellites running out of fuel. The two new rendezvous vehicles are based on the Mission Extension Vehicle, but could be attractive to different customers that don’t need the full range of capabilities the MEV offers. The Mission Robotic Vehicle will function as a bus, transporting multiple Mission Extension Pods out to orbit and installing them onto client satellites. Once docked, the pods will be able to provide up to 5 years of life extension and orbit control to the receiving spacecraft. 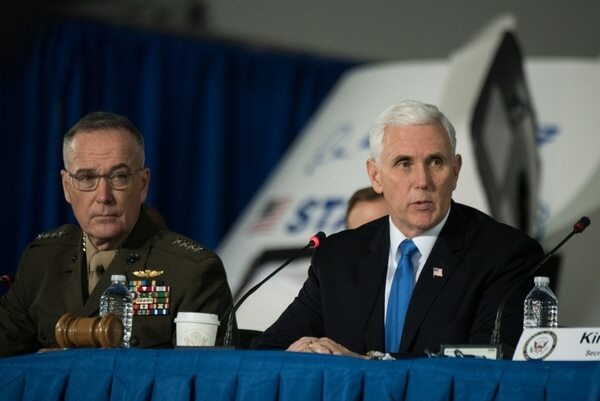 Both Orbital ATK and the panelists at the conference were in agreement that the in-space servicing industry will continue to advance rapidly in the coming years. Orbital ATK is currently being purchased by Northrop Grumman for $9.2 billion. Pending regulatory approval, the deal is anticipated to be completed within the first half of 2018.